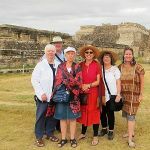 Textile Traditions Oaxaca: Coast & Isthmus & Chiapas Highlands! 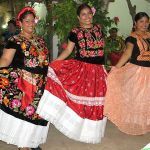 On this journey, we explore the multiple ethnic communities of Oaxaca (and Guerrero) to learn of their cultural and ethnic expressions in dress and textiles. From the Amuzgo in Guerrero to the Mixtec, Huave, Zapotec in Oaxaca we will readily see how textile traditions and dress are a cultural passport and unique expression of the women (and some men) who live in this region. 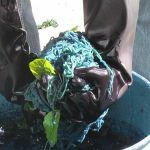 We will learn of the fibers, such as coyuche cotton and natural dye sources, such as Purpura Pansa, indigo and cochineal. Visiting the Isthmus of Tehuantepec, we’ll learn about the fascinating culture there of the strong women, ripe mangoes, fashion and markets. Leaving Oaxaca behind we climb into the Chiapas Highlands to learn about dress and textile techniques of the Tzotzil and Tzeltal Maya. This is an extraordinary close up journey into the communities where we meet the people and artisans who create visual masterpieces and maintain their cultural heritage. Join us! NOTE: This trip may be done in Segments: #1, Oaxaca Coast & Isthmus, #2, Chiapas Highlands, or #3, BOTH! 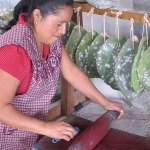 Learn of Indigenous Textile Traditions of Oaxaca including: Amuzgo, Mixteco, Zapoteco & Huave. Travel to Xochistlahuaca, Guerrero to meet the finest Amuzgo weavers. 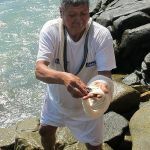 Meet weavers & coops in remote communities of Pinotepa de Don Luis & San Juan Colorado to learn of their unique traditions in weaving and dress. Meet Mixteco weavers in Huazolotitlan and Jamiltepec where we see how dress is a cultural passport. 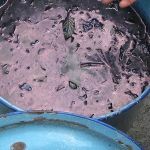 Travel with the purpura pansa dyers of the coast to see how they extract this scarce purple dye. Learn about the history and evolution of “traje” from the Isthmus of Tehuantepec. Learn of the various embroidery techniques in the Isthmus of Tehuantepec. Arrival Day: Sat. Nov. 17, Arrive Acapulco, Hotel and Meals are not included in the price, but Tia Stephanie Tours will negotiate a room block at our hotel. And, we’ll enjoy a lovely group meal overlooking the famed Acapulco Bay. Before we transfer to our base for the Amuzgo region, Ometepec, Guerrero, we’ll visit the Fuerte San Diego Museum in Acapulco. Here, we’ll learn about the trans-Pacific trade of the Manila Galleons, that lasted 250 years, plying trade from Manila to Acapulco. After our visit, we’ll transfer to Ometepec, stopping for lunch along the way. Upon arrival, we relax in our hotel and enjoy dinner at a local taqueria! 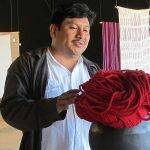 Today, once again, we travel to meet some of the most talented and inspiring weavers, spinners and dyers of the coastal Mixtec region of Oaxaca, known as the Costa Chica. 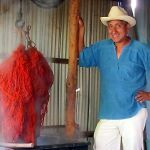 In two communities, Pinotepa de Don Luis and San Juan Colorado, we learn of the traditional dress of the region, such as the pozahuanco wrap skirt of purple Murex, indigo and cochineal stripes. 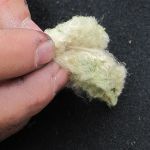 We will also see a lot of coyuchi cotton spinning and weaving in these communities! We overnight in Pinotepa Nacional. Today we visit the communities of Huazolotitlan and Jamiltepec to meet with some of the best weavers and embroiderers of the region and to see how dress changes from one community to the next. Here, we will learn about the double-headed eagle iconography that is so representative in this region, and we will see a unique way the huipil is worn over the shoulder! Overnight in Puerto Escondido. 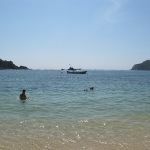 Leaving Huatulco, we continue down the Oaxaca coast towards Salina Cruz, to the Huave community of weavers, San Mateo del Mar. While the women are Huave, they have adopted the dress of the Zapotec women of the Isthmus; the colorful huipil accompanied with a flowing, equally colorful skirt. 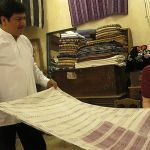 Their traditional whimsical weaving designs of animals, fish, butterflies, can be seen on the runners, place mats and other utilitarian items they weave of cotton on backstrap looms. From here, we travel into the Isthmus of Tehuantepec to visit the Zapotec community, Tehuantepec. We will learn of the history of traje, or dress which is so emblematic of this region, making the women of Tehuantepec a favorite subject of artists and sculptors, such as Roberto Montenegro and Francisco Zuniga, and made popular by Frida Kahlo, who often was seen wearing beautiful traje brought to her by travelers to the region. We overnight in Tehuantepec. In 2015 we visited Chiapa de Corzo before going to San Cristobal de las Casas, because of the Pope! His visit to the region, meant all the hotels were booked in “San Cris” and the roads were blocked off. We loved Chiapa de Corzo so much, we’re going back! After we visit the colorful and vibrant market in Juchitan, we’ll begin our drive to Chiapa de Corzo, Chiapas, where we’ll spend the night. We’ll stroll in this lovely town on the shores of the Rio Grijalva. In the morning, we’ll tour Chiapa de Corzo, before we make our way to Venustiano Carranza, in the midland region. The cotton backstrap woven huipiles are a light, cotton, gauze weave, as this region is warmer than the highlands we’ll be visiting later on our trip. We will visit homes of master weavers to see this delicate weaving style. Leaving our weaving friends behind, we’ll stop in the pottery village of Amatenango to meet our friends Albertina and Mari, master potters who work with the ancient prehispanic techniques of firing pottery. 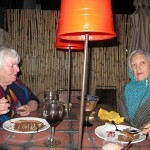 Arriving in San Cristobal de Las Casas, we settle into our hotel and enjoy dinner. Today we focus on the text and iconography in the Maya weaving of Magdalenas and San Andres Larrainzar and Magdalenas. We will learn of the Ceremonial huipil from Magdalenas and the layers of text and meaning of the woven designs and the form of the huipil, itself. Omnipresent in the Maya iconography are themes of underworld, material world and celestial world (3 planes), the elements (earth, wind, fire and water), and the cardinal points. Also, humankind’s relationship to the outer world is always present. 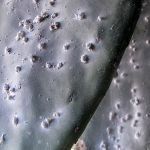 In Magdalenas, we’ll also see how the ixtle bags are woven; from the stripping of the fiber from they maguey leaf, to the plying of the threads, to the weaving of the bags. It’s a fascinating process that dates to pre hispanic times. Returnin to San Cristobal, we’ll visit Sergio Castro to learn of his work as a burn doctor, and how he created his collection of ceremonial and daily wear from Maya communities in Chiapas. Today is market day in Chamula! In addition to the market, we will experience the indigenous church of San Juan, where they Maya cosmovision of this Tztotzil community is revealed. 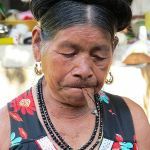 Healing ceremonies take place to heal the infirm and drive out bad spirits. This church is like any other, with pine needles and candles on the floor as the community members pray to the respective saints, with the help of a “healer”. 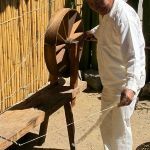 In Chamula we will also learn about the importance of sheep, as members of the family and we will learn how the women’s woolen skirt is made. In Zinacantan, flowers are seen everywhere; from the embroidered smocks worn by the women and men, to the cultivated variety. We’ll learn about the evolution of their styles and colors; something they pay very close attention to, as color trends change annually! Returning to San Cristobal, we’ll visit the extraordinary Museo de Textil Mundo Maya. The evening is free to explore the bohemian atmosphere of San Cristobal de Las Casas. Today we will visit the community of Chenalho that has yet another very unique and distinctive style and technique. We will meet with coops that are working with contemporary designers. Return to San Cristobal for exploring of markets, galleries, coops, museums. 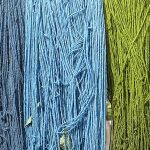 In addition to visiting the Thursday market in Tenejapa we will visit a special coop that produces extraordinary examples of weaving technique and designs of this Tzeltal weaving community. 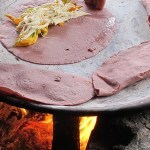 Returning to San Cristobal we’ll visit Na Bolom Museum and enjoy a Farewell Dinner at Na Bolom. 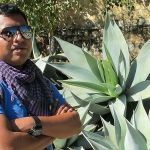 Textile Traditions of Oaxaca’s Coast & Isthmus & Chiapas Highlands! Price: $3,525 Per Person Double Occupancy.